Manila is looking to reopen the facility next year in a further boost to its capabilities. Earlier this week, media reports noted that the Philippines is set to reopen a former U.S. naval facility in Subic Bay from early 2016, the first time it has served as a military base in more than two decades. Defense department spokesman Peter Galvez said Thursday that the Philippines would soon station aircraft and naval vessels at Subic Bay, which served as one of the United States’ biggest overseas bases until it closed in 1992 after a close vote in the Philippine legislature. For those who follow Philippine defense developments closely, this alone is nothing new. As early as last May, Roberto Garcia, chair of the Subic Bay Metropolitan Authority (SBMA) which now manages the base, announced that the board had approved a plan to allow the Philippine military to use some of Subic’s facilities for its ships and aircraft. While details were still being worked out at the time, Garcia said then that several South Korean fighter jets would be stationed at the Federal Express (FedEx) terminal, while Alva Pier, Juliet Pier and Rivera Wharf would also be the home ports of some of the Philippine Navy fleet. What we have gotten now is a few more details on how the base will be used and when this will happen. Philippine military officials told Reuters that the first two FA-50 light attack fighters from South Korea ordered last year and set to arrive in December would be based there from early 2016, along with the 5th Fighter Wing which would relocate from another base in northern Luzon. Having aircraft and ships stationed there would no doubt be a boost for the Philippine military, especially since it is close to the South China Sea amid the saber-rattling between rival claimants Manila and Beijing. Subic Bay is just 198 kilometers (123 miles) east of Scarborough Shoal, which China seized from the Philippines back in 2012. While the Philippines is pursuing a case against China in the arbitral tribunal at The Hague, Manila has also been developing its military capabilities as well (See: “Does the Philippines’ South China Sea Case Against China Really Matter?”). This includes the construction of a naval base in Oyster Bay in Palawan, around 100 miles from the Spratly Islands (See: “Philippines Moves Toward New Naval Base Near the South China Sea”). Further down the line, Subic may also once again be partly accessible to U.S. troops, which will be yet another positive step in the U.S.-Philippine alliance. While American warships already use Subic for docking, repairs and resupply, Defense Undersecretary Pio Lorenzo Batino hinted to Reuters that the U.S. could get much greater access in the future under the terms of the Enhanced Defense Cooperation Agreement (EDCA) inked between the two allies last year. Thus far, Subic has not been included among the eight bases that Washington would get access to under EDCA (See: “What’s Next for US-Philippine Military Ties?”). The existing agreement is also yet to be finalized with a legal challenge pending in the Philippines. While all of this looks promising, the key will be to get all of this done soon. New facilities are good news for Manila since it needs all the help it can get to modernize one of Asia’s weakest militaries and it will take a long time for it to catch up to some of its more advanced neighbors, not to mention China (See: “The Truth About Philippine Military Modernization and the ‘China Threat’”). But timing is also critical. 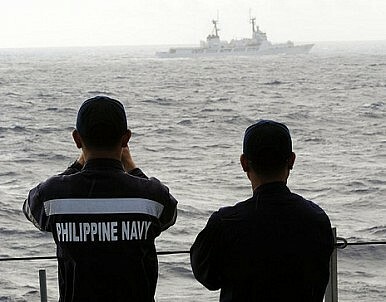 China’s rapid land reclamation activities, refusal to participate in the Philippine case, and regular out-muscling of Philippine ships and aircraft, clearly suggests that Beijing is quickly trying to change the status quo in its favor, and that the Philippines needs to urgently secure its own position in the South China Sea. The current dynamics in the South China Sea make it such that it is a race against time, and time is not on Manila’s side (See: “Why Kissinger’s South China Sea Approach Won’t Work”). Manila’s ongoing defense buildup needs to be put into perspective.